A cherished and easy shortbread cookie, these Cocoa Nibby Pecan Shortbread Cookies make a generous homemade gift or a festive treat to welcome guests. 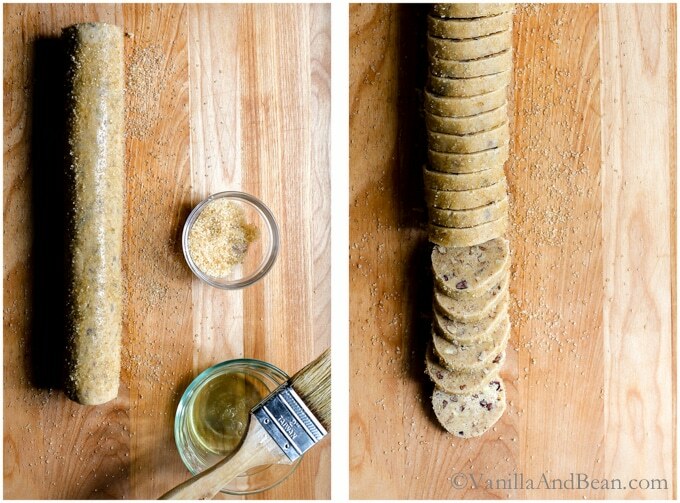 Make ahead easy and a long storage life make these cookies SO convenient. It’s cookie season and y’all know what that means: shortbread cookies 24/7! OMG. They are my absolute favorite. But I gotta pace myself, else I won’t even be able to fit into my stretchy pants! But this is just one of the many that I call my favorite. There are SO many! I’ve written about my love affair with shortbread when I posted these mouthwatering Hazelnut Shortbread with Chocolate Ganache Sandwich Cookies. But I equally adore Bourbon Vanilla Bean Shortbread Cookies as well as Dark Chocolate Cocoa Nib Shortbread Cookies. Shortbread is like a blank canvas to create with the flavors you love. I’ve even seen shortbread go savory! Shortbread is not typically overly sweet. 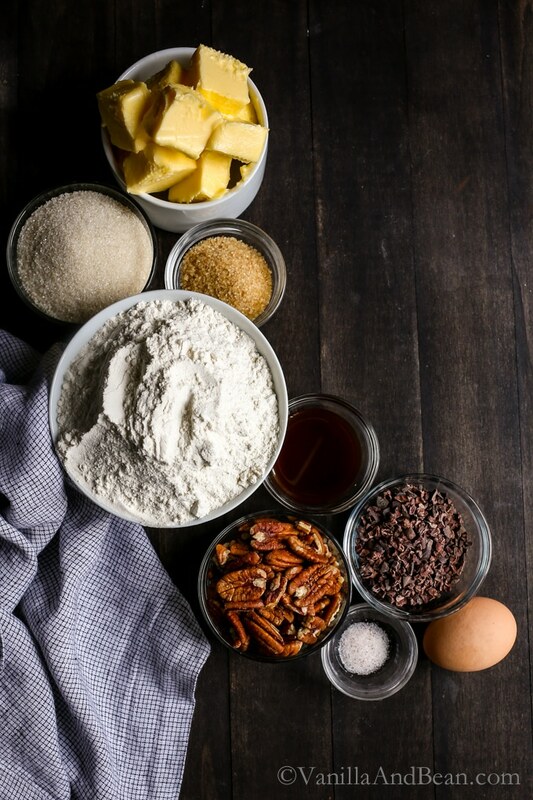 Rather, the proportion of ingredients allow key flavors to shine, rather than being doused in so much sugar you can hardly taste the butter or inclusions. In Bourbon Vanilla Bean Shortbread Cookies the vanilla beans and bourbon are highlighted. And in these Dark Chocolate Cocoa Nib Shortbread Cookies the bittersweet chocolate is balanced with the crunchy bitter nibs and just enough sugar to pull the cookies out of the too bitter range. The idea for this recipe came from Alice Medrich’s Bittersweet. I strayed from her recipe only slightly by replacing part of the all purpose flour with white whole wheat flour, baking the cookies longer and using a tried and true method of chilling and finishing the cookies in raw sugar. Something ingrained from my former days in pastry school. 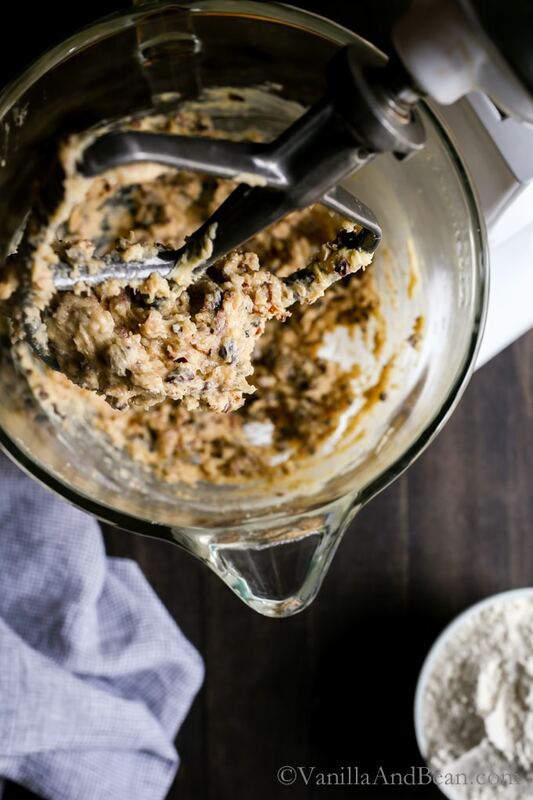 For the fullest flavor development, make these cookies at least one day before you need them, rest the dough in the fridge overnight, then slice and bake the following day. The cocoa nibs infuse these cookies with their bittersweet notes and, even better, their flavor improves over time. Some Instagram friends and I participated in Rebecca‘s (@displacedhousewife) #HolidayCookieParty2016 by receiving a name of a mutual Instagram friend. The names were kept secret until we each received a special box of home-baked cookies! It’s been such a fun way to get to know each other and share during the holiday season. For this party, I knew exactly what kind of cookies I’d make. Shortbread (duh!). I boxed these sweet ones up and sent them to LaRae (@chezlarae) who made these White Roll Out Cookies for another blogger! Then, I received the most delectable Gluten-Free Icebox Cookies from Joscelyn at Wife Mama Foodie. I can’t even tell they’re GF – perfectly tender, sweet with just the right blend of inclusions (herbs too!!). How did she know these were among my favorite cookies?! I hope you’ll check out what other Instagram friends created below (under the recipe) and share the baking love with your friends this holiday season. 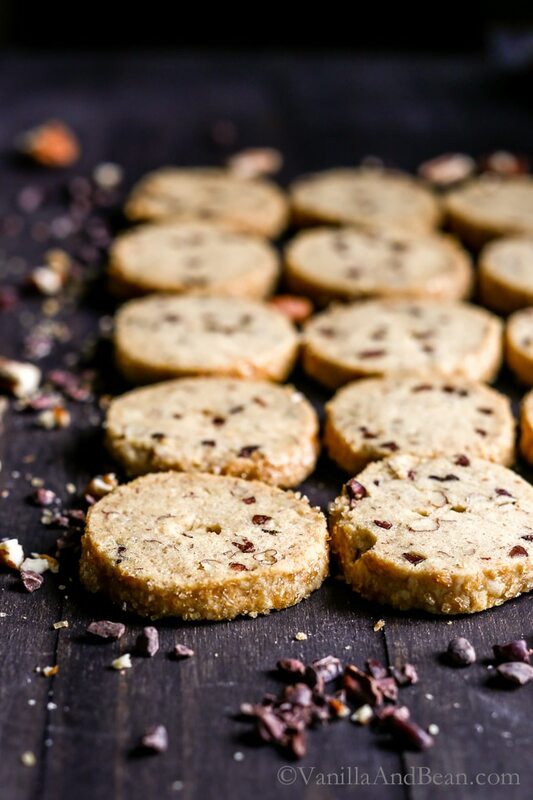 A cherished and easy shortbread cookie, these Cocoa Nibby Pecan Shortbread Cookies make a generous homemade gift or a festive treat to welcome guests. Make ahead and freeze for later or bake and enjoy a long storage life. *Plan ahead! These cookies need to rest in the refrigerator for at least two hours prior to baking. Preheat oven to 325F (163C). Spread the pecans on a cookie sheet and toast for about 8 minutes or until fragrant. Allow to cool, then chop into small pieces. 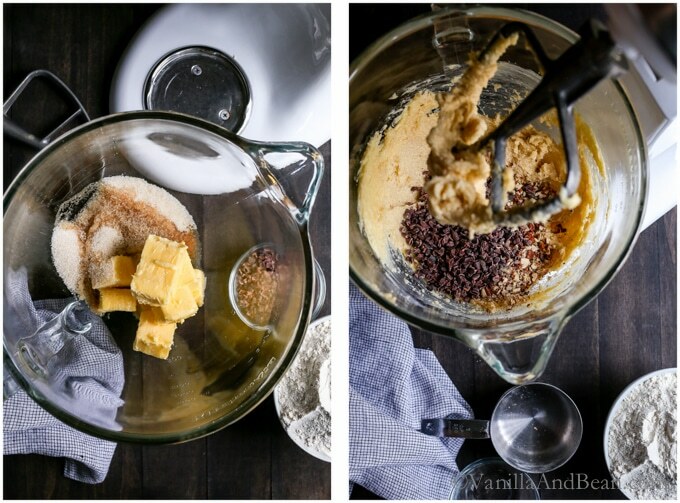 In the bowl of a stand mixer, add the butter, cane sugar, sea salt and vanilla bean extract. Mix on medium for about 2 minutes or until smooth (not fluffy), stopping to scrape bowl at least once. Add the bourbon and mix again on medium for about 30 seconds, or until incorporated. Scrape down bowl. Add the cocoa nibs and pecans and mix on low until just incorporated. Scrape down bowl. Add the flour all at once, pulse to start, then mix on medium until the dough forms somewhat of a ball on the paddle and has pulled away from sides of the bowl. 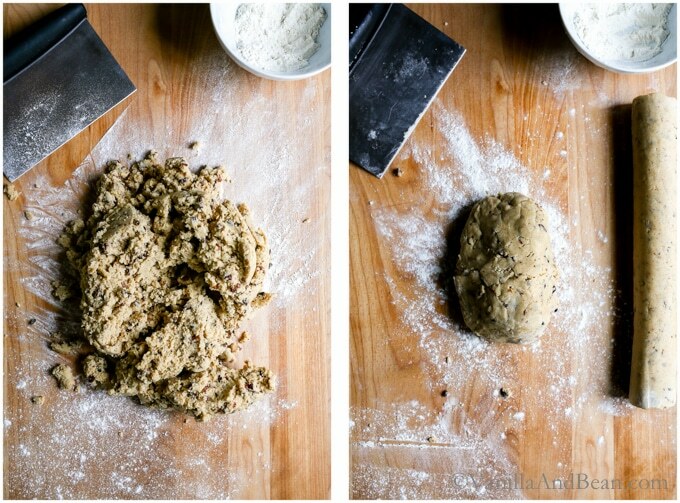 On a floured work surface, dump out dough and divide in half. Shape each clump into a log, 2" (5cm) thick, gently rolling and adding flour as needed so it wont stick to you or the work surface. You'll want to make sure a hollow doesn't develop in the center of the log as this will create a hole in the middle of the cookie. It this occurs, use your rolling pin to beat and condition the dough, then reroll pinching where needed to avoid the dreaded hollow log! Once the log is shaped, wrap each log in plastic wrap. Carefully place in refrigerator on a flat surface for at least two hours or up to two days. Remove the log(s) from the refrigerator, unwrap the log. Using a pastry brush, brush a thin layer of egg white all over the surface of the dough. Sprinkle the log with raw sugar, rolling it as needed to cover the surface areas. Line two sheet pans with parchment paper. Using a serrated knife, cut the cookies 1/4" (6mm) thick, without sawing but rather with a firm cut down. Place on sheet pan with at least 1" (2 1/2 cm) between cookies. Place back in the refrigerator for at least 20 minutes (do not skip this step or the cookies will spread). Preheat oven to 325F (163C). Bake cookies for 26-28 minutes or until golden, starting to check on them at about 24 minutes due to oven variations. They'll be darker on the bottom than the top when done. Remove from oven and using an offset spatula, carefully transfer cookies to a cooling rack to cool completely. They'll crisp up as they cool. *Water may be substituted for bourbon if desired. Recipe adapted from Alice Medrich's Bittersweet. Can I make these with vegan butter? Thanks! Hi Autumn! I’ve not tried it, so I’m not sure. If you try it, please let us know how it goes! These cookies sound so great! Whole wheat and cocoa nibs!! yumm.. Happy Holidays! i can’t wait to try these! in the recipe directions you say to add cane and confectioners sugar but i don’t see confectioners sugar in the list of ingredients. also, i saw an egg in your first picture but didn’t see that listed as an ingredient either. just wanted to check before i made them if the directions were off or if the ingredients were missing a few items? Hi Morgan! Thank you for your note and corrections! I edited the recipe to reflect cane sugar only and an egg in the ingredients. Thank you again! I hope you enjoy the recipe! 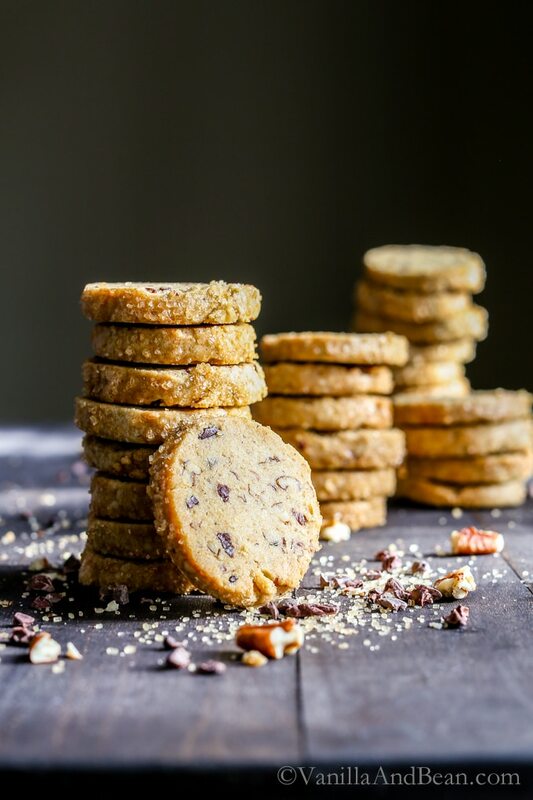 Shortbread cookies are definitely a fave, especially when they’re chocked full of delicious mix-ins, like pecans and cacao nibs! What a yummy combo, Traci! So beautiful too! I am such a sucker for shortbread and these cookies are A-list! Such gorgeous photos Tracy. Wow. Thank you Annie! It was a lot of fun and will be even bigger next year. And what’s not to love about receiving a box of cookies? Thank you so much Quin… they’re a bit addicting! I gotta watch it! I’m with you Kate.. a favorite combination for me too. But you gotta make shortbread!!! You’ll love it! You know I’d adore sampling some of these! Actually, all your shortbread recipes sounded amazing. 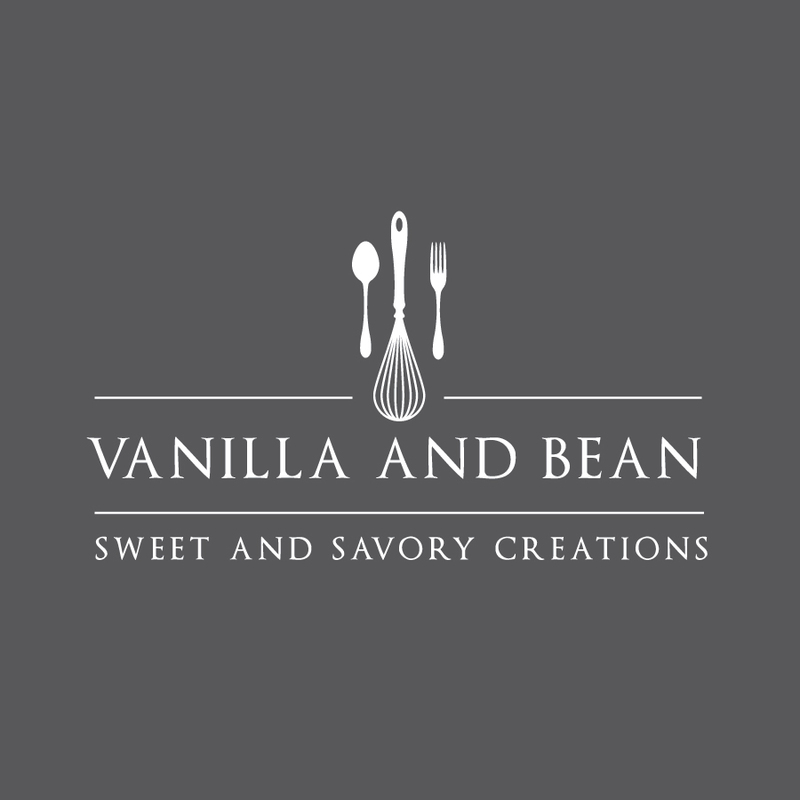 Vanilla bourbon?! Where do I sign up? ;) Happy Holidays Traci! This cookie exchange was such a great way to kick off the festive season ahead! This is sheer heaven. Honestly, all the flavors and textures I like is wrapped in one cookie. I know a bite of these and I’ll be eating all the 24. They truly look stunning Traci. I know it’s perfection. Awesome to be among you lovely ladies for the cookie exchange. Ok, so there isn’t one single thing that I don’t love about these cookies. Everything about them is delicious and beautiful. If I ate these cookies today, then died tomorrow I wouldn’t be mad. ;) Sheer bliss in a cookie! Shortbread, chocolate, and pecans are three of my favorite things and they are looking oh so fine together in these delicious cookies :) Pinning! Ooooh those pecans! My fave for sure. Thank you so much Sarah! I love shortbread cookies because I think they are so beautiful! But you definitely made them look even more gorgeous! These are a must try! Shortbread cookies are so addicting, no way you can eat just one or two. These cookies look so pretty and would make great gifts. Agreed, Celeste! I got these out of the house as fast as I could – lol!! Great gifts indeed.. love that loooong storage life! You make the best shortbread cookies, Traci! 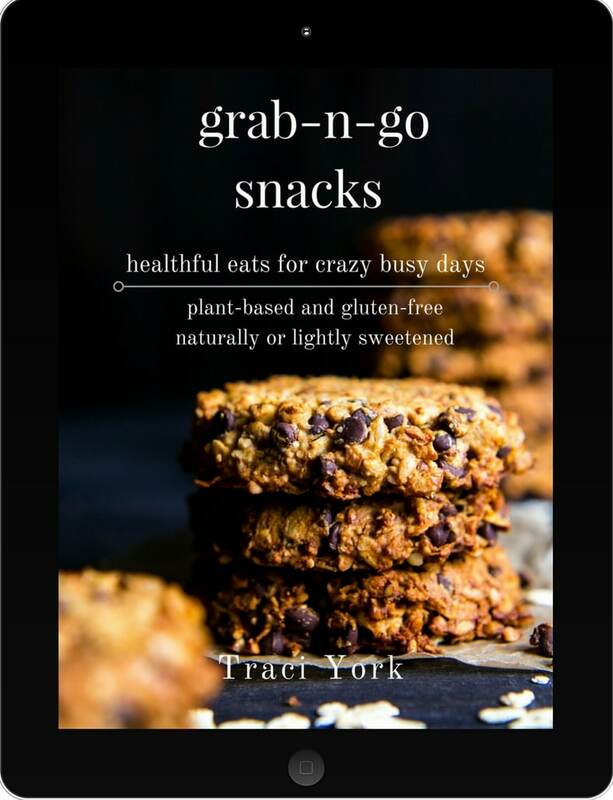 These look wonderful – can’t wait to try them – and I am actually looking forward to putting on my stretchy pants! That’s what the holidays are for – lots of food, friends, family and cocktails! PS: love the new font – very easy to read. I can guarantee that these will become a holiday (and all year round) favorite of mine Traci! I absolutely love shortbread cookies! I would have a very hard time stopping at one or two. I think I’ll be in my stretchy pants at least til the end of January with all these yummy cookie recipes from the #holidaycookieparty2016!! Thanks for sharing! Looking forward to making a batch or two of these beauties! 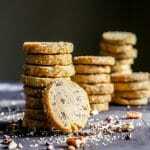 I adore shortbread and these look positively divine! I’m with ya, Laura! Thank you my dear!